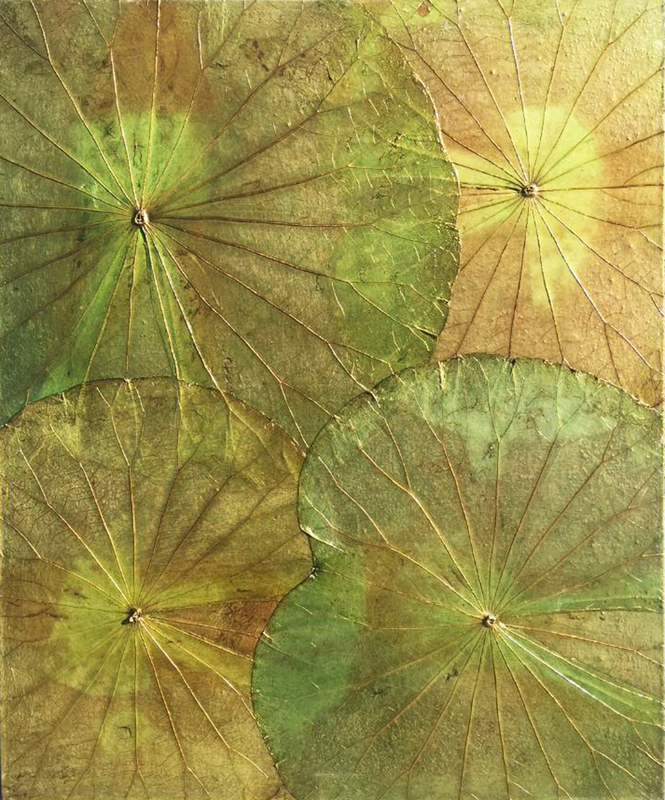 This beautiful wall hanging is made with actual lotus leaves that are skillfully dyed and placed creating this organic contemporary piece. It's a brilliant way to bring a splash of color and nature into the home. Each piece is unique and the piece you receive may vary from the photo. It's bracketed to hang vertically but can easily be hung horizontally should you choose to do so. W 16" / D 1.5 / H 19" / 1 lb.